With the real estate market continuing to roll from strength to strength, trying to determine a property’s true value is an ever-present challenge for buyers. Snaring the property you want while avoiding paying too much is the dream, but how do you make that happen? As a buyer, how do you ensure you purchase at the right price every time? The "right” price for a particular property won’t be the same for everyone. For example, a first-home buyer might see a certain price as fair for a property, while an older couple looking at downsizing might be perfectly comfortable paying $100,000 more to ensure they get hold of it. Being crystal clear about what you want from a property will help determine what your right price is. It’s about having a really good understanding of what you’re trying to achieve, and then making sure that property will meet all of those goals, because then you can make decisions around price as well. Understanding what the property is and the likelihood of (a similar property becoming available again), will determine the right price for you. When it comes to determining the right price for a property, there’s no substitute for market knowledge and conducting your own research. It’s important to frame your own market, rather than blindly following the selling agents and their indicative price ranges. That includes taking the statement of information with a grain of salt as well. The statement of information gives you a bit of an idea, but there’s been a lot of examples where the indicative selling range is out by 10% to 20%. Look at the location, look at the council area. What is it close to? Is it close to commission housing; is it close to industrial; is it on a main road; what age is the property; has it been renovated in the last five years; what is the aspect of the property; what is the floor plan like? All of these little characteristics add up to what the property’s worth. At the end of the day it’s like a science. All property knowledge isn’t necessarily equal. While looking at properties and results online will give you some measure of knowledge, there’s no substitute for checking out properties in the flesh. 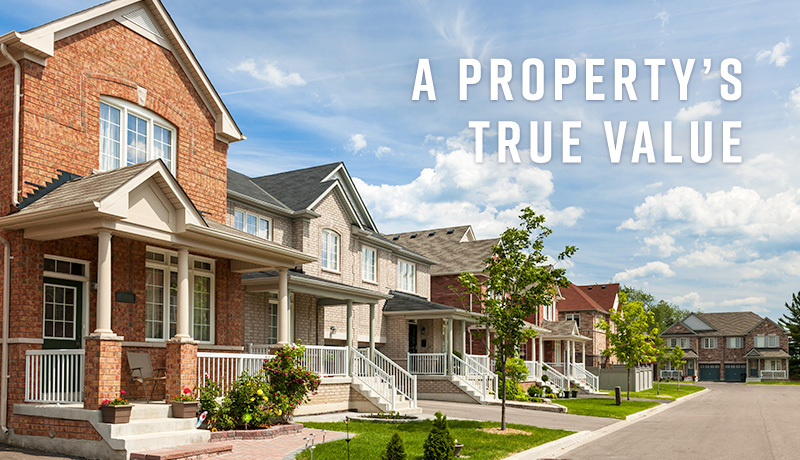 Just getting the results of properties doesn’t necessarily tell you about the properties. Sometimes a property sells for a certain price because it has a major structural issue, and you can say: ‘Well that’s why it was cheap’. Understanding more about each property is important. Some agents are reporting that for many properties, calculating the likely sale price based on the rate per sqm of land is proving increasingly accurate. Again, it’s about research. If a number of properties nearby have sold for around $5000 per sqm often you can expect a very similar rate for the house you’re eyeing off. You can do square meterage, particularly when you’re dealing with larger blocks and development blocks in blue chip areas. You can get access to stats quite easily – most properties have the square meterage listed online. It doesn’t necessarily mean the property will be the right price for you, but at least you’ll know how much you’re likely to be up for if you decide to bid. Studying the market yourself each week is one thing, but consider for a moment that there are people who do it professionally. While the average punter researches properties only when they’re actively looking to buy one, buyer’s advocates/agents have knowledge and expertise built up over many years, and can give an almost instant appraisal of what a property should be worth. With buyer’s advocates, you’re paying for that superior market knowledge, as well as their ability to sniff out properties based on your personal requirements and circumstances. A lot of buyers are only in and out of the market in a very short period of time, While property researchers have been studying the market for a while.